For the Sportsman on the go, pack everything you need and then some in this handsome travel bag. Two front storage pockets teamed with extra-large main compartment is perfect for a trip to hunting camp or a weekend adventure with family and friends. 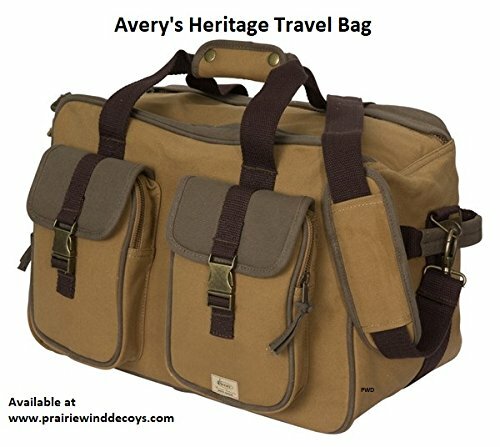 If you have any questions about this product by Avery Outdoors, contact us by completing and submitting the form below. If you are looking for a specif part number, please include it with your message.